Trying to decide which paintings to put in and in which order. 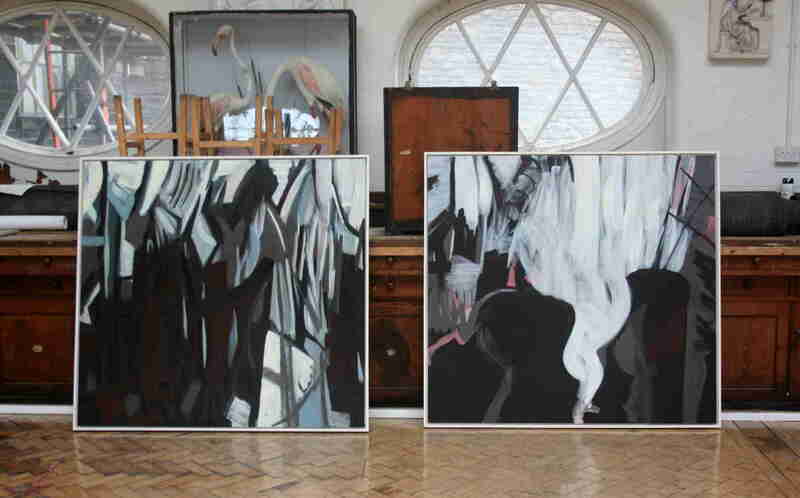 It is as much about the space as it is the paintings, not simply a matter of putting in the favourites. Next up is my final exhibition Aberystwyth School of Art to complete my Masters. Having been working remotely, I’ve now trucked the work up there and have finally been able to spread it out and stand back. Now I’ve got some space now to allocate titles and to decide which combination works best in the space allotted to me. Getting some feedback from the dude on the shelf. 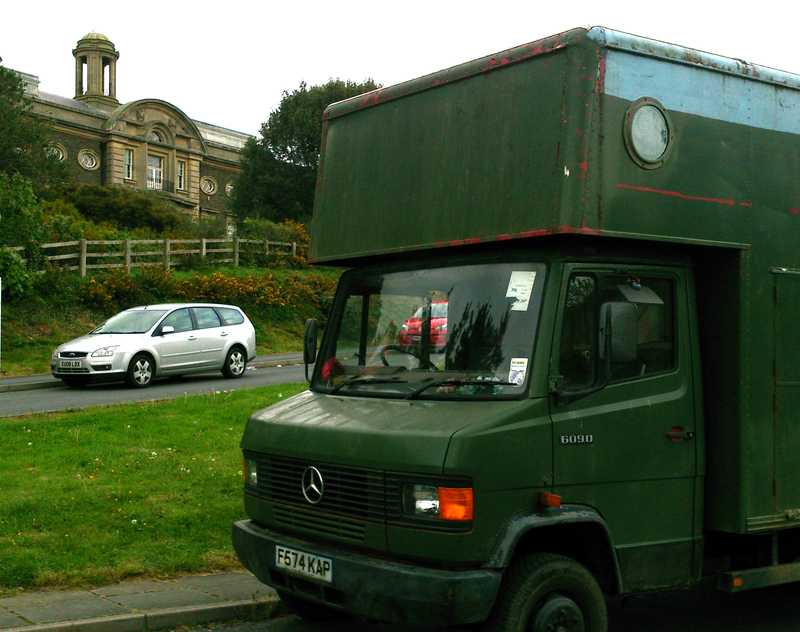 The Nomadic Studio delivering work to the School of Art. 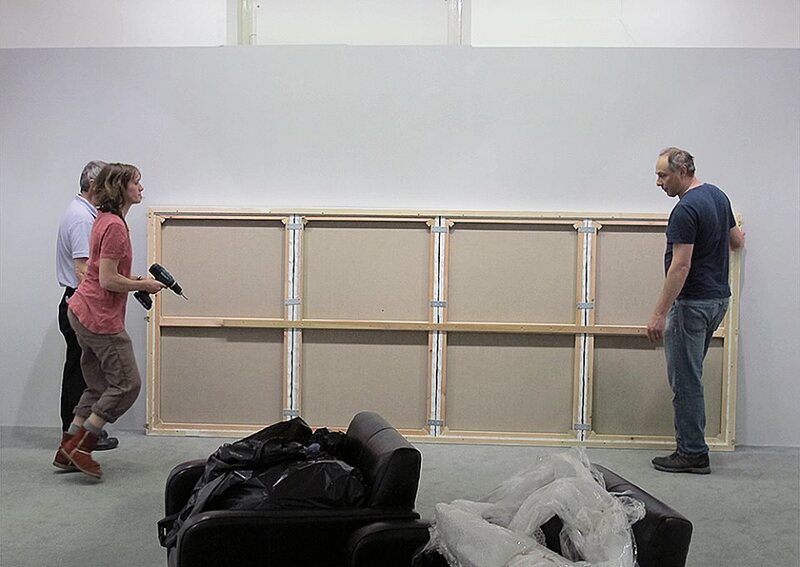 Installing the work – with assistance. 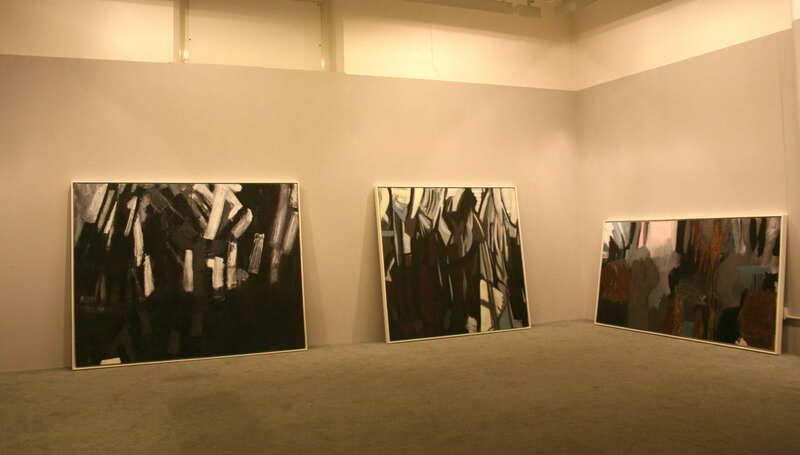 Final installation shots of the Gallery exhibition space. The Intimacy Of Liminal Spaces 2015. 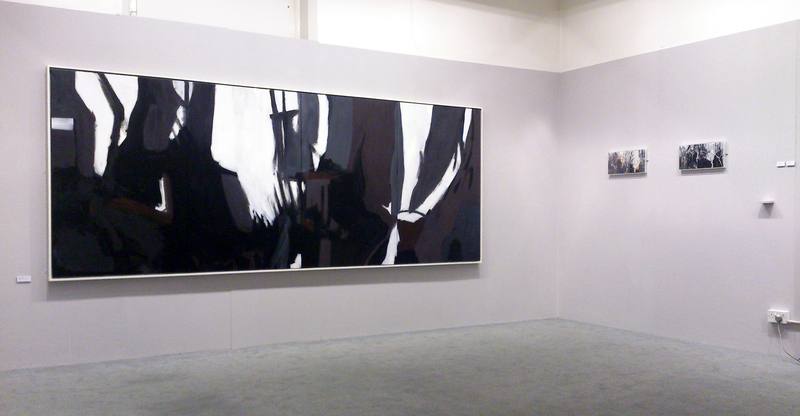 Oil and acrylic on linen, 140x360cm. 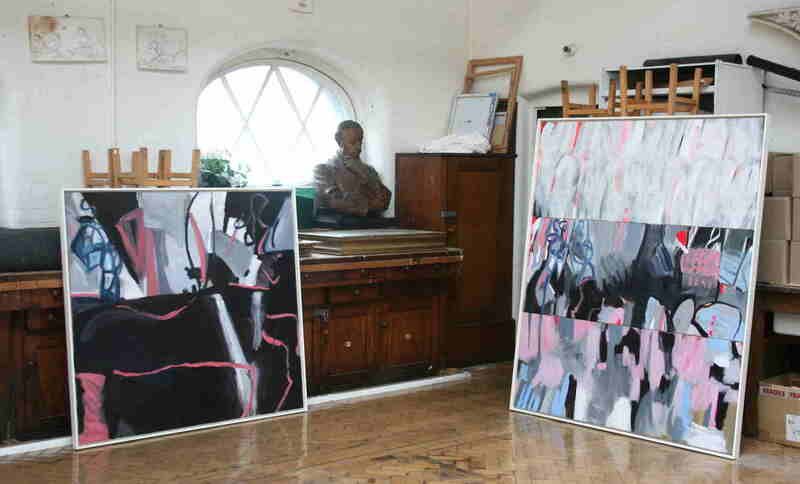 …and two mixed media studies on paper. One of the things that makes painting distinctive is how the perception of time is evaluated: its histories can be visible and at the same time all are firmly in the present. In painting I want something of the immediacy of drawing: its explosiveness, brevity, rawness and also a type of mark-making that is not consciously directed and informs both the beginning and the final stages of making an image. We share a liminal existence: occupying a position at, or on both sides of a boundary or threshold. Experiences offer many thresholds between the physical and transcendental, thought and realisation, present, future, past. Nature can give us moments of poetic experience. 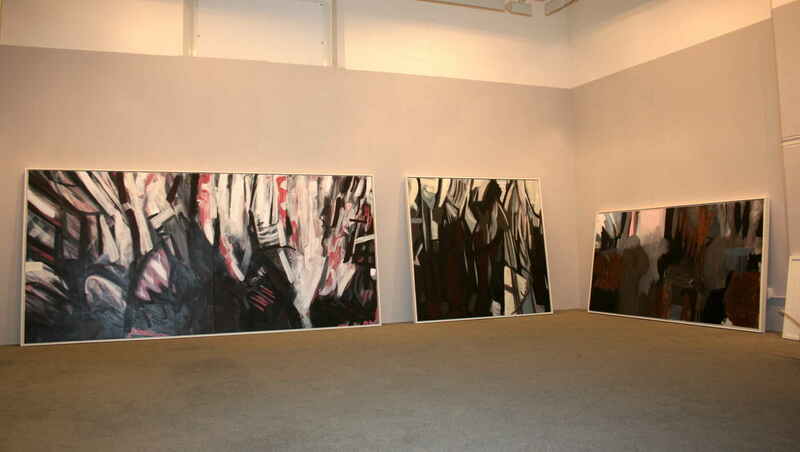 I seek to explore the possibilities and impossibilities of expressing these liminal moments in paint.